As a volunteer at the Humane Society of Polk County, you’re important to us! 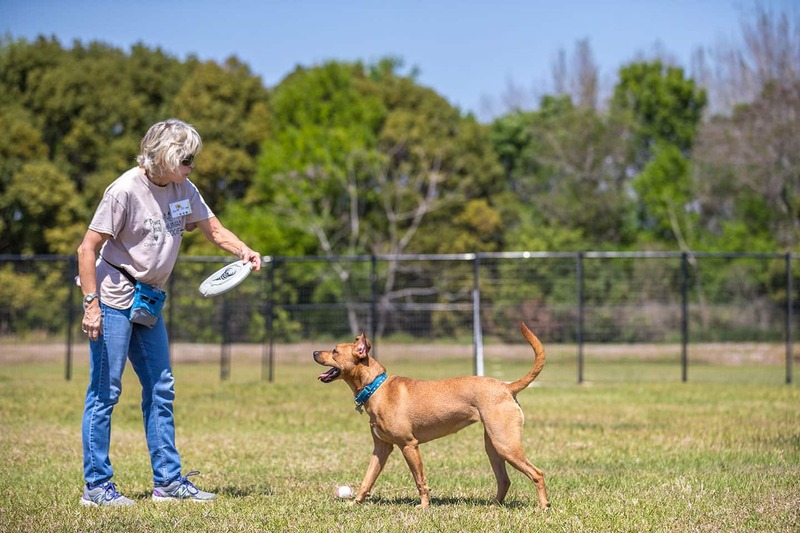 Volunteers can help the shelter run smoothly, increase adoptions by being knowledgeable and friendly, and make our animals more comfortable and happier. Volunteering is important for the organization and the individual. We want to make the volunteer experience as useful as possible. Please review the following information about our shelter and our volunteer program. 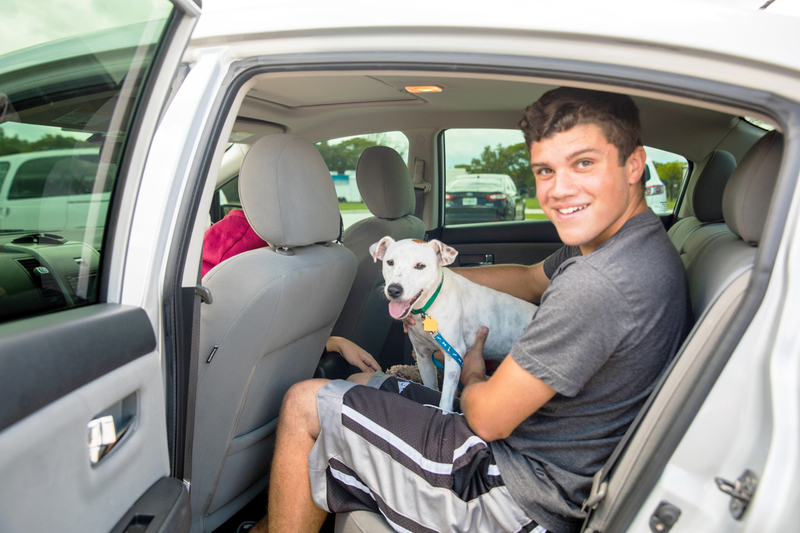 There are two primary types of volunteer work with the Humane Society of Polk County: in shelter and out of shelter. Because there is a considerable amount of time involved in the training of our volunteers, our volunteers are required to join our efforts by becoming members of the society. Once we receive your application we will sign you up for the next orientation class. Thank you for considering being one of our volunteers – we appreciate your service! Fee includes: Volunteer t shirt, wrist band and a drawstring sports bag. Dog Washes are held at the HSPC office during the warmer months. This event not only generates income for HSPC, but it also gives the public a chance to learn how to care for their pet and an opportunity to ask questions about their pet’s health. Volunteers simply show up on designated days. Experience Needed: Should be comfortable around dogs and not afraid to get wet! Primarily responsible for helping the staff clean and feed the animals in the morning and helping to keep the animals clean and comfortable throughout the day. Volunteers are trained in the handling of animals and cleaning. Volunteers provide clerical support for the staff at the front desk. This includes answering the phones, completing adoption paperwork, and providing general animal care information to the public. Computer knowledge is helpful, and good customer service skills are a must. Volunteers are esential to the success of our training program for the Open Paw method of training. This is an exciting program that will teach you about animal behavior and training. There are many levels to this program with fun things to learn and do with and for the pets. We often need volunteers to help us call past adopters about how their adopted animal is adjusting to his or her new home and about their adoption experience at the shelter. These phone calls can be made during shelter hours, but are most useful evenings and weekends. Experience Needed: A smiling face! Ability to take direction from office staff and commitment to showing up when expected. Hours are flexible. You can work a set number of hours each week or be on call to help out when we have a need. Raising the many thousands of dollars necessary to continue our operations every year is a massive undertaking requiring dedicated volunteers. We need volunteers who are willing to help plan, organize and participate in special events and fund raisers in the community. Other jobs may include hanging posters, stuffing envelopes and other short-term projects as needed. We often need volunteers to help us call past adopters about how their how the adopted animal is adjusting to his or her new home and about their adoption experience at the shelter. These phone calls can be made during shelter hours, but are most useful evenings and weekends. The Humane Society of Polk County goes to various sites around the county where cats and dogs are available for adoption. These events are organized and staffed by staff and volunteers who help set up/take down the tables and cages and assist potential adopters. Experience Needed: Dependability is a must, and you simply need to have a smiling face and like to be around cats and dogs. 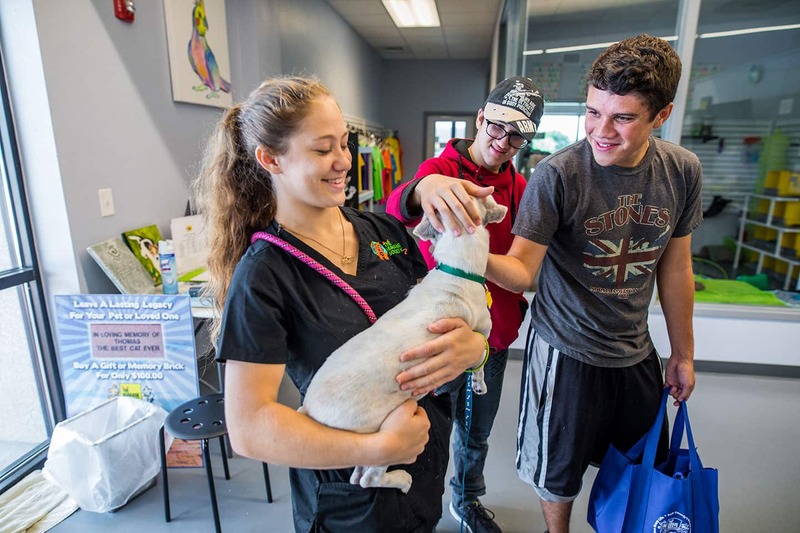 The HSPC conducts humane education through its workshop series, visits to public and private schools, informational booths at community events, presentations to civic and youth organizations and with individual counseling for new pet owners. It is our mission to emphasize the benefits and importance of responsible pet ownership. Experience needed: Public speaking, organizational skills, and a willingness to educate others about animal health and issues helpful. Besides spaying/neutering, the HSPC Foster Program is one of the sure ways to prevent euthanasia of Polk County’s companion animals. The Humane Society of Polk County Foster Program rescues homeless cats, dogs and rabbits from local shelters and places them in temporary foster homes. 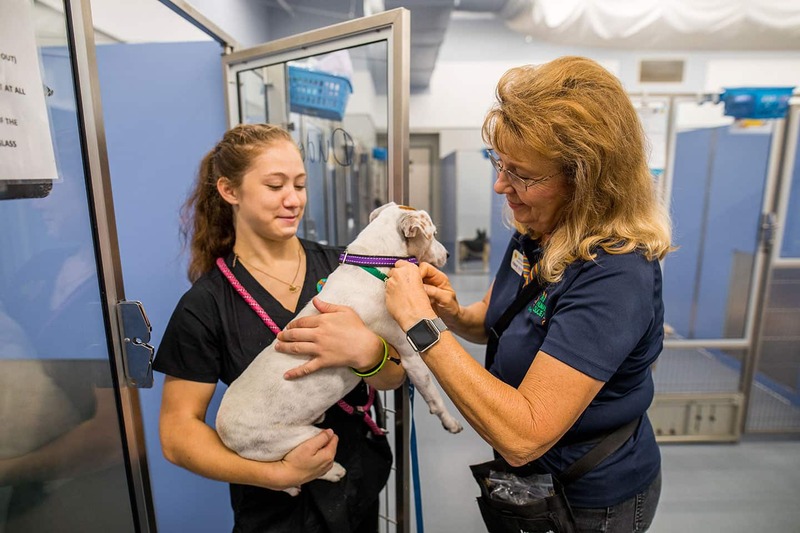 These lucky animals receive appropriate medical care and are then exhibited on our website in hopes of finding a permanent, loving home for each animal. We often need families or individuals who are willing to offer their home on a temporary basis to animals in need. Foster care is most frequently needed for animals too young to be adopted. Foster families actually house rescued animals in their homes until suitable adoptive homes are found. Medical expenses are covered by the HSPC; you simply provide love and social interaction for the pet. The newsletter committee creates the HSPC newsletter, Pause for Paws by writing and researching articles, editing submitted text and working with graphic design to ensure its publication. Experience Needed: Good organizational and writing skills are helpful. The publicity committee assists with the publicity of all HSPC events and other newsworthy issues. This committee writes press releases, distributes them to the media and follows up. Experience needed: Good writing skills, ability to follow through and make sure events are covered in local media. 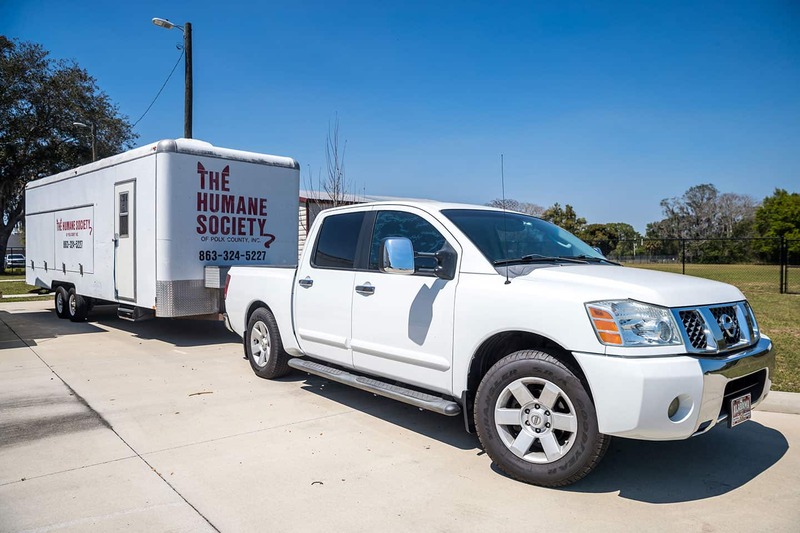 HSPC provides free spays/neuters to qualifying families only through special sponsorships and the help of our local veterinarians on our SNIP trailer at different locations throughout the year. Experience Needed: Volunteers help with publicity, distribution of materials to community, scheduling of appointments and follow-up. Throughout the year, HSPC coordinates several special events in our community to raise money and awareness for the animals. Experience Needed: Volunteers with good organizational skills, smiling faces and the discipline to work on event from start to finish are ideal. We also need volunteers willing to work at events.